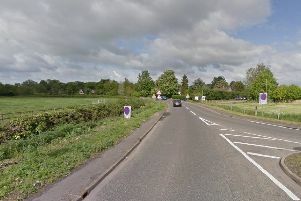 Around 15 people are believed to be seriously injured after a collision at the A47 Thorney Toll this morning. Magpas Air Ambulance has landed at the scene of the collision between a double decker bus and an HGV and confirmed that approximately 15 people have been injured. Police are now appealing for witnesses to the collision which happened at around 7.30am. The road is currently closed and people are asked to avoid the area or expect delays. All emergency services are at the scene including the East of England Ambulance Service which said: “We are currently attending a serious road traffic incident in Thorney Road, Guyhirn. “The East of England Ambulance Service Trust has currently dispatched seven ambulance crews, three ambulance officers, two rapid response vehicles, a Hazardous Area Response Team (HART) and Magpas Air Ambulance to the scene where the crew are caring for several seriously injured patients.